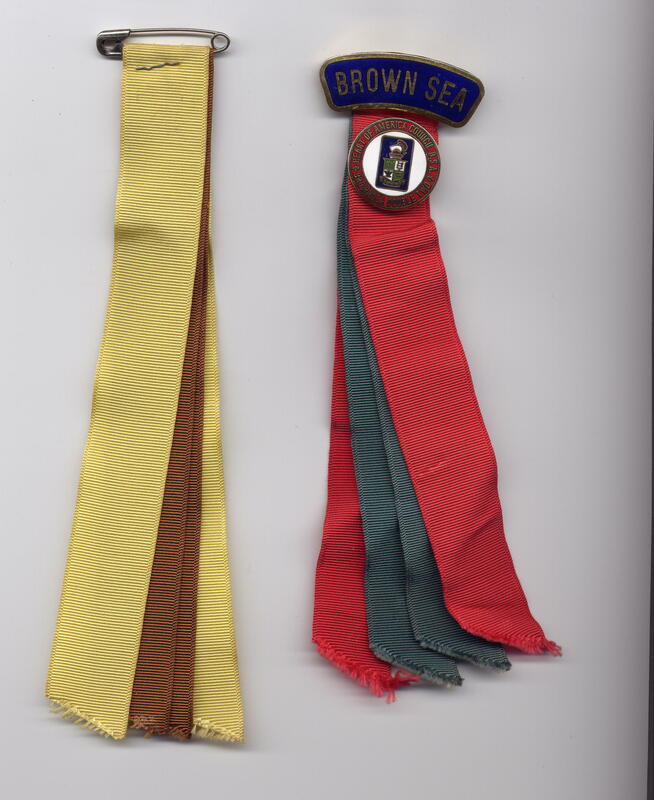 In a rare double post, here are some more Brownsea items, this time from the late 1980s. 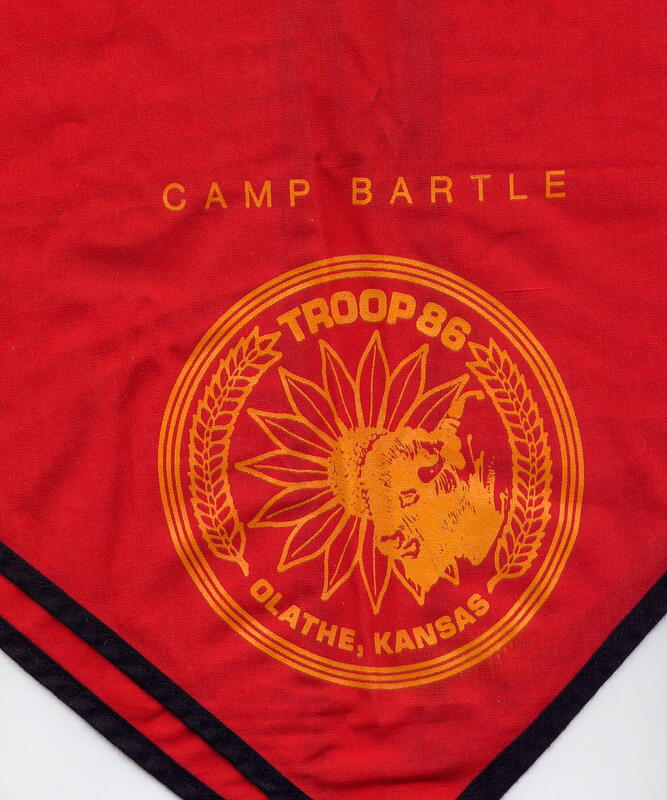 Included is another neckerchief, patrol ribbon identification, and a Brownsea Troop photo. Coincidentally, I recognize a few faces in the crowd. Do you? Thanks to Matt P. for sharing the images. 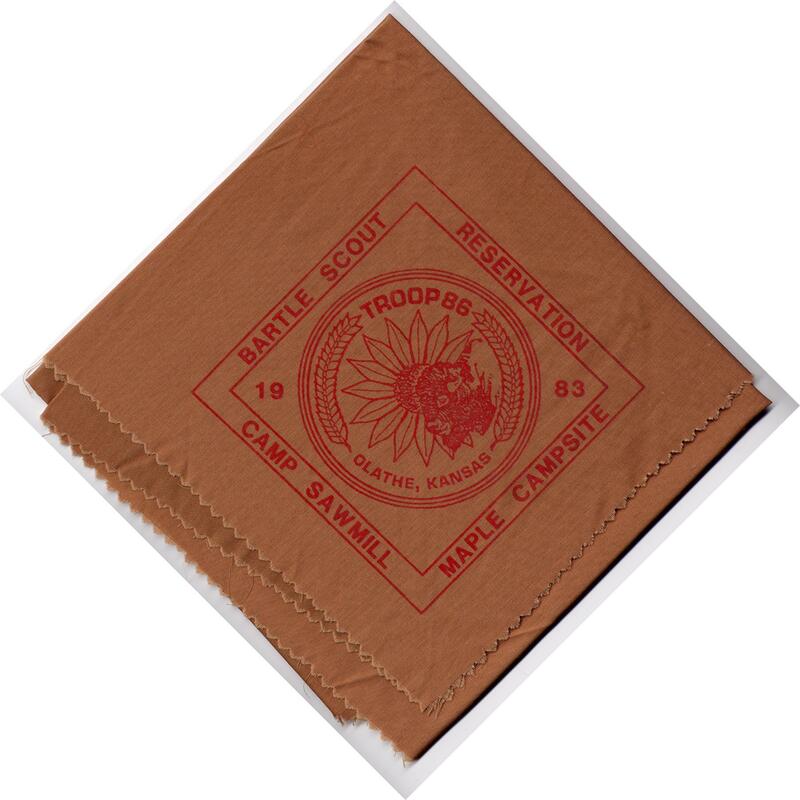 What does your troop use to honor Eagle Scouts? 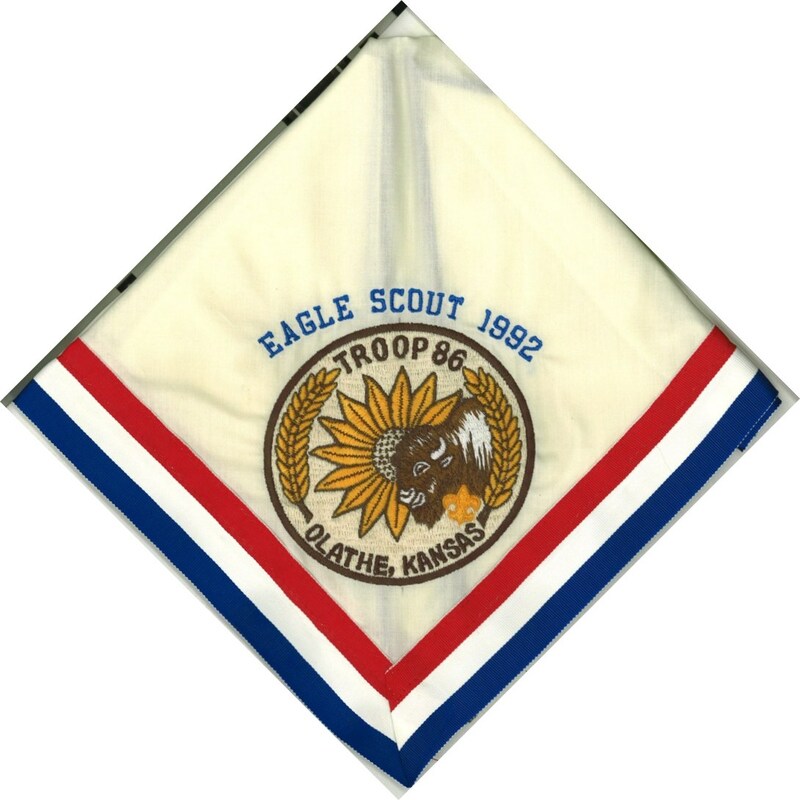 If you have an Eagle Scout neckerchief from the Kansas City area that you would like to share, send me a picture and any pertinent information (year earned, troop location, Scout’s name) and I’ll post it. Here’s an interesting flea market find: a 1941 Boy Scout Round Up neckerchief from Kansas City. 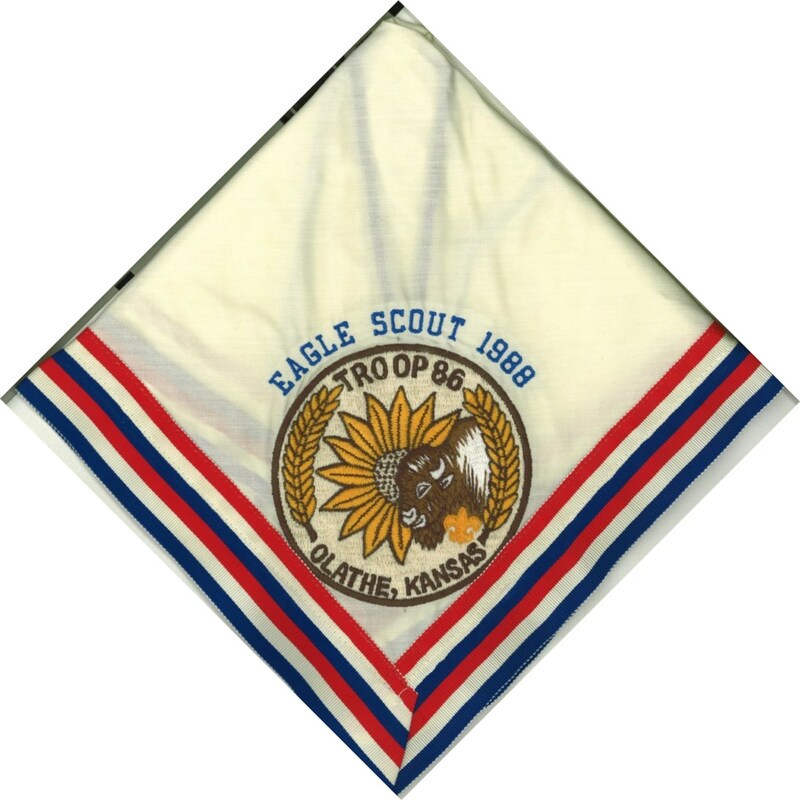 According to “Trail to Eagle: Six Decades of Scouting in Kansas City 1910-1970,” Kansas City began hosting annual Boy Scout Round Ups in 1912. 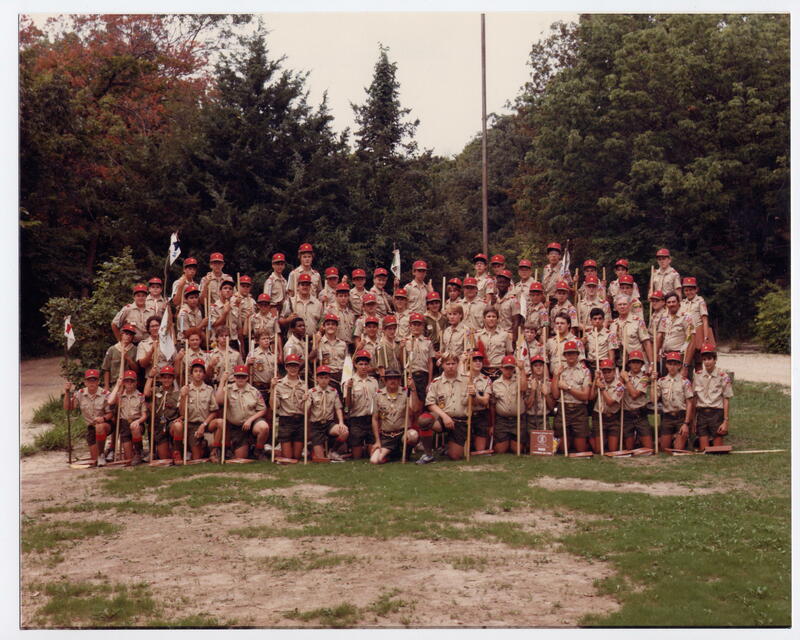 The book states that it was an indoor event intended to showcase Boy Scout skills (pioneering, first aid, firebuilding, etc.) and that the Kansas City event was the first of its kind held indoors. 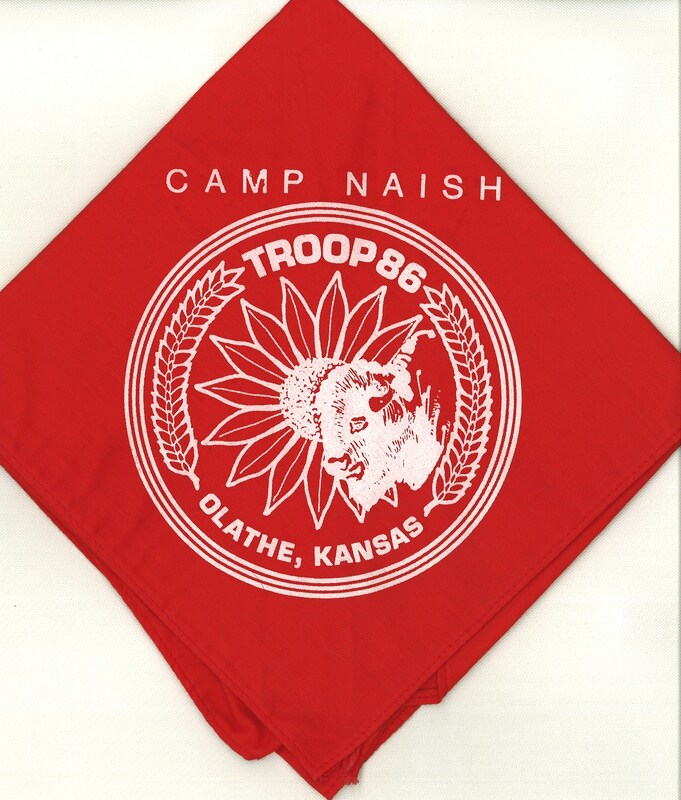 The neckerchief is a standard-issue Boy Scout neckerchief with a stencil/block print on top. 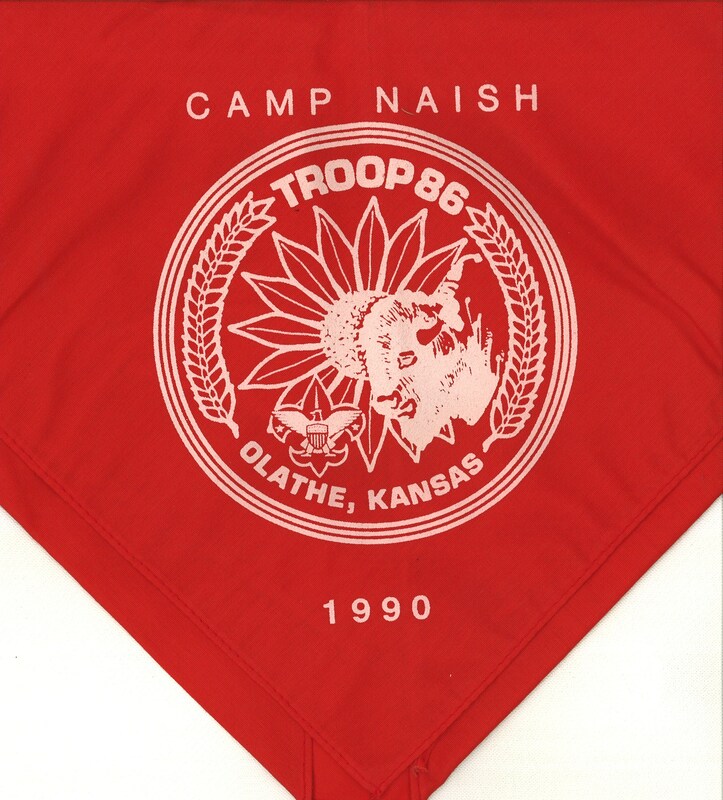 It could have been made on site and available to the boys or possibly made by a troop to wear during the event. I’ve never seen an item similar to this but would enjoy seeing a picture of yours if you have one. Don’t Forget Your Combs, Boys! 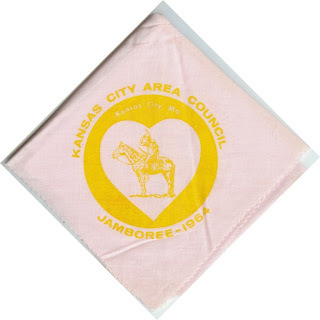 This week we have five jamboree contingent items from the 1964 National Jamboree, which was held at Valley Forge, Pennsylvania. 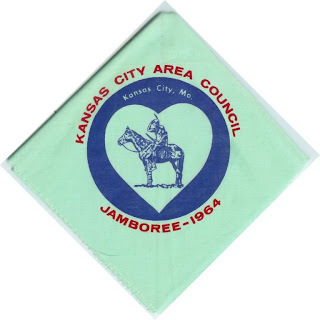 The first four are contingent neckerchiefs from the Kansas City Area Council. 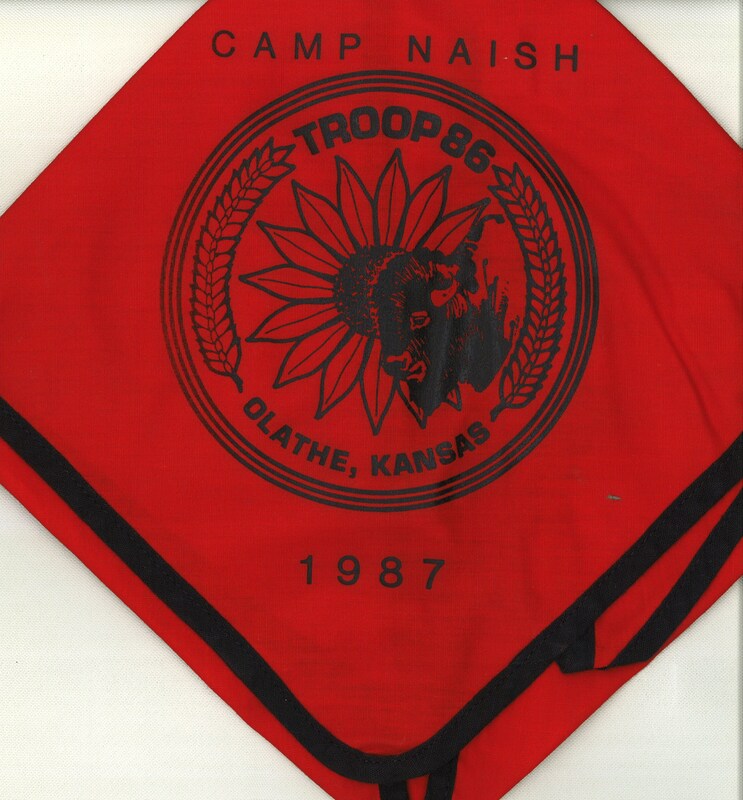 I assume the different colors were used by different troops from KCAC. Thanks to Ryan Meador for the last three scans! 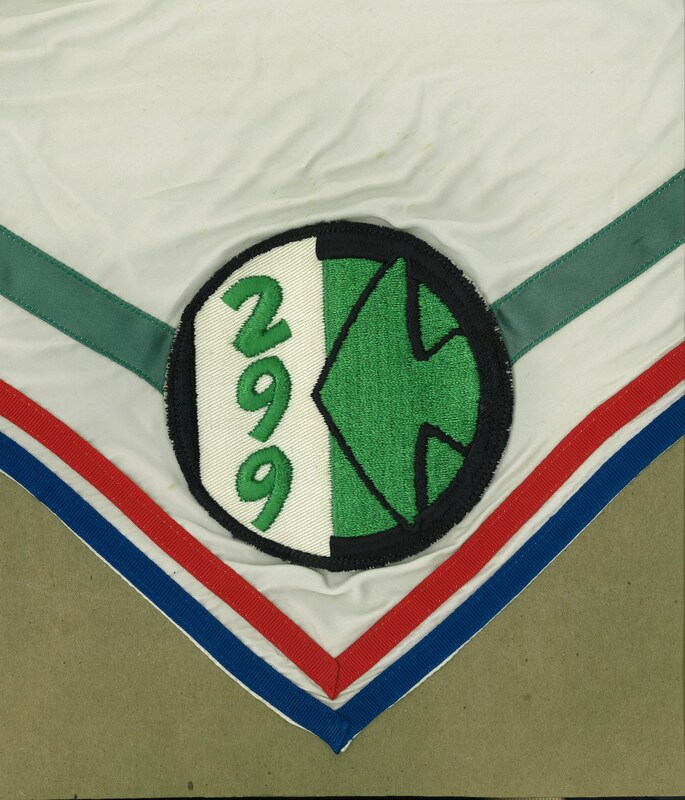 This same general design was used for the 1969 Jamboree as well. See my earlier post about contingent items from that Jamboree. The last item is a small folding comb from KCAC. Jamborees seem to yield a great deal of odd and unique items. 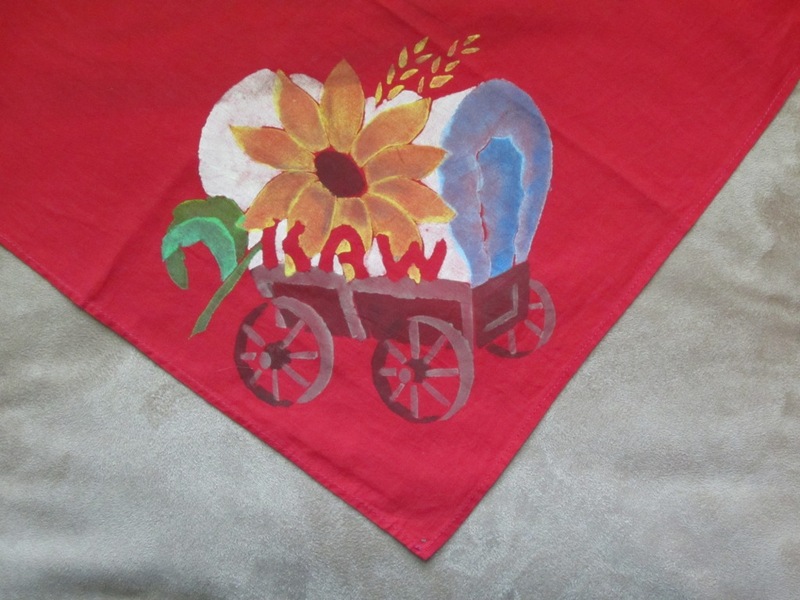 At one time I had a small woven sack of wheat from Quvira Council in Wichita, Kansas. I am sure there are a host of other oddities with which this comb could be included. 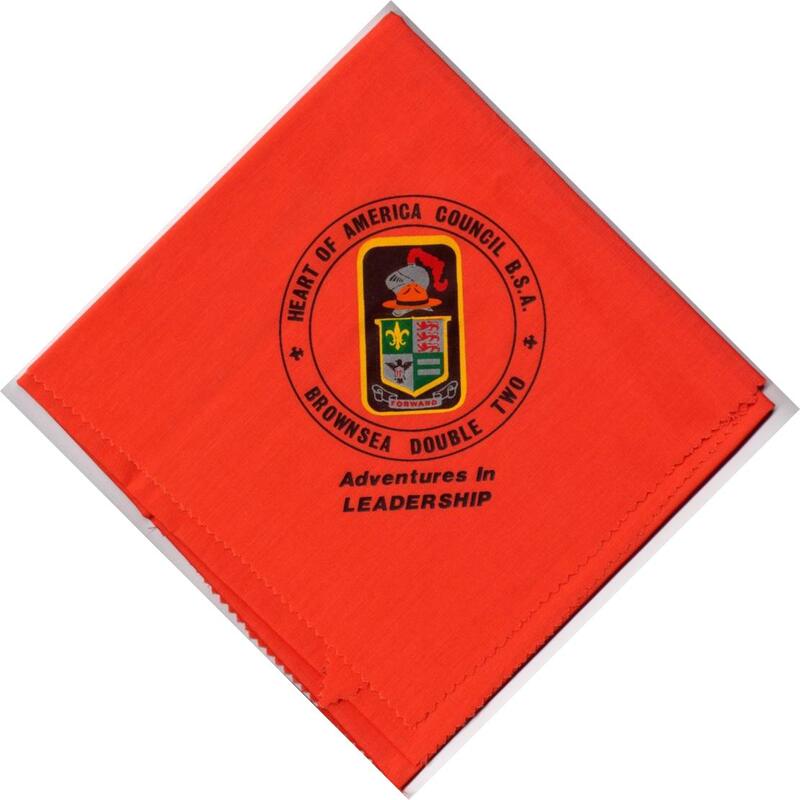 I can imagine all of the Jamboree participants lining up to get their council-issued combs before departing for Valley Forge. Look sharp, boys! 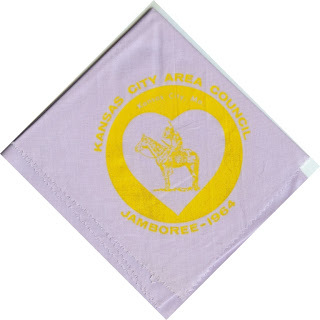 Does anyone have additional 1964 National Jamboree KCAC contingent items?